I made this using a couple of different digital kits. First were the papers by Splendid Fins new kit called "when skies are grey" and the brushes were by Pink Paislee called "Country Lane" both will be available soon at Jessicasprague.com. 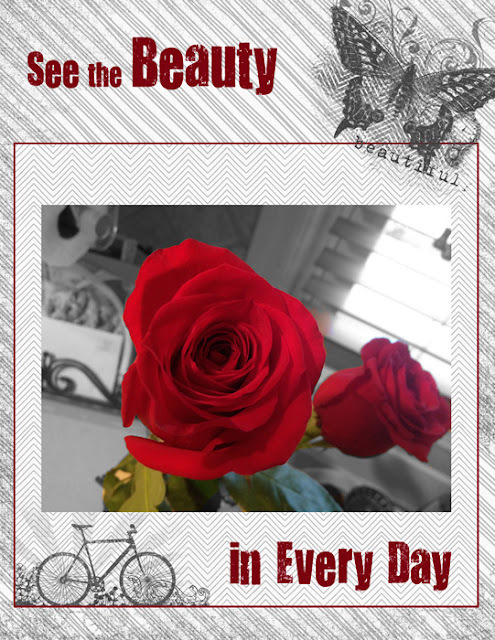 This layout focuses on Recolorization meaning that I made the photo black and white and then brought color back to just the roses. You can learn this technique on this weeks Photoshop Friday at JessicaSprague.com.